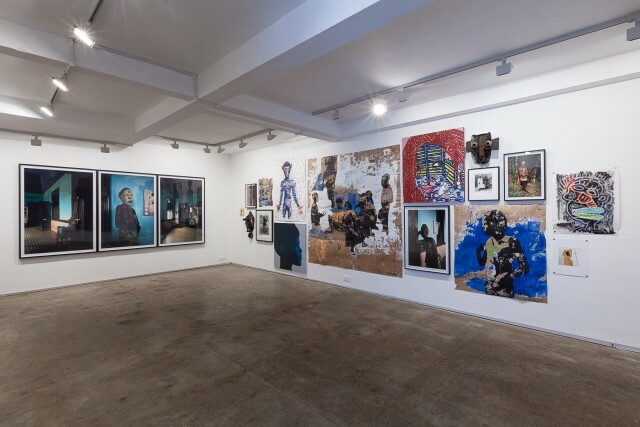 Jack Bell Gallery is pleased to present a group show of work by 10 contemporary artists living and working in Africa. Spanning Abidjan to Timbuktu and Douala to Kinshasa, 'Studio Lumiere’ brings together dynamic forms of painting, photography, drawing and sculpture stemming from the continent. Selected artists include Aboudia, Leonce Raphael Agbodjelou, Steve Bandoma, Armand Boua, Goncalo Mabunda, Hamidou Maiga, Vincent Michea, Desire N’Guessan, Boris Nzebo & Yeanzi. The show coincides with the final month of 'Pangaea II: New Art From Africa and Latin America’, at Saatchi Gallery, London, where several Jack Bell Gallery artists are currently exhibiting.